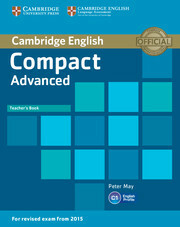 Compact Advanced provides C1-level students with thorough preparation and practice needed for exam success. 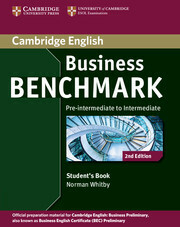 Each unit tackles a key part of each exam paper and develops Grammar for the Reading and Use of English paper. The Teacher's Book includes step-by-step guidance for presenting and teaching all the material in the Student's Book along with suggestions for alternative approaches and extension activities. It provides complete answer keys with recording scripts for the Student's Book. The keys include sample and model answers for Writing tasks. There are photocopiable Progress Tests to assess students every two units.